This 42 gallon commercial plastic trash can is constructed of 100% recyclable plastic that is made in the USA. Includes a mushroom style lid and easy to clean liner that eliminates the need for expensive trash bags. Great to have at any park or school. 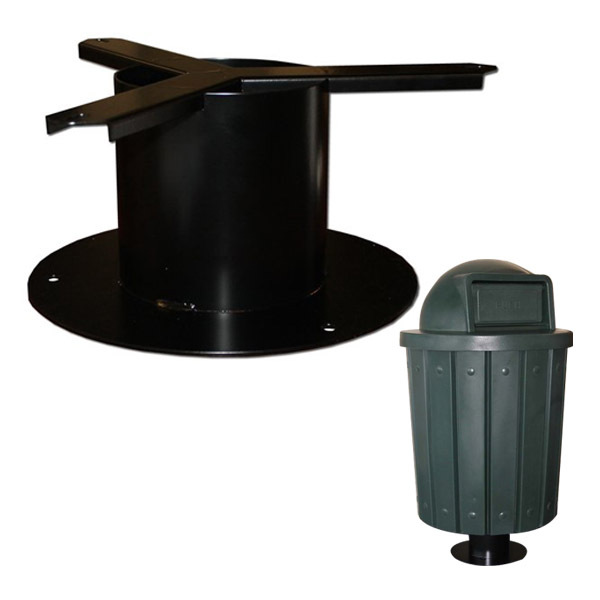 See our optional pedestal for surface mounting this receptacle to concrete.